The imminent arrival of Chus & Ceballos debut album called 'Nómadas' in September 2015 brings a serie of previous singles gems, like the one we are presenting to you right now Abisinia feat. GiGi, second collaboration along with Italian producer Leonardo Gonnelli after their succesfull previous single Soledad. 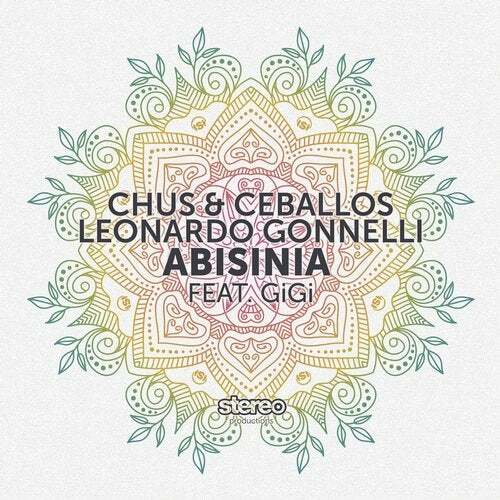 Abisinia takes its cues from the African region where GiGi was born, Ethiopia peninsula and is the basis of the musical journey imprinted in the forthcoming album of Chus & Ceballos. Hypnotic synth sequences and soaring ethnic vocals that transport your mind into this musical trip. Yet it retains a clear modern sensibility, the quality of this production wont let you indifferent and will inject a nomadic mode in your veins. Chus & Ceballos have reached his musical maturity, they are back to their roots and Nomadas is the result of many years exploring new sounds, blending and carrying them all on their baggage. Abisinia includes a master piece cut from one of the most outstanding Spanish talents, UNER, DJ and producer but also an excelent musician which imprints its full potential in a superbly sensory and emotional work.